Murter Island traditionally hosts some of the globally best DJ acts, but this summer it's within the new Love International Festival. The first edition of Love International continues the great work of the Garden Festival, so besides great lineup you can also expect a great atmosphere. For those of you going to the festival, we've prepared a wide choice of cheap accommodation on Murter Island, so you can book an apartment or a room, and let the countdown to the most anticipated party of the summer begin! 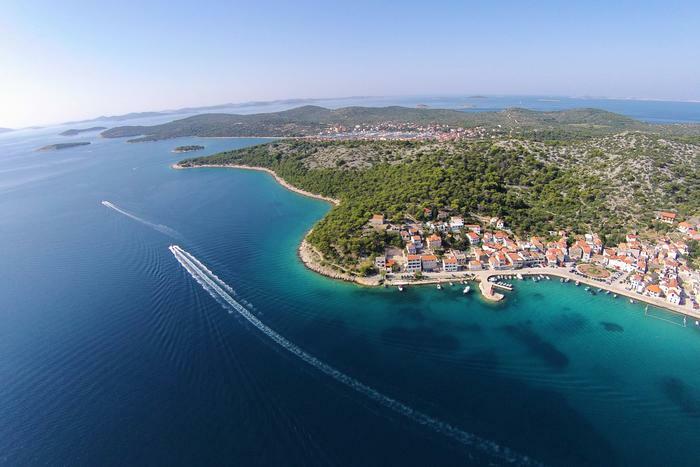 The Festival will take place in the beautiful town of Tisno from June 26 until July 6, 2016. Last summer marked ten years of the popular Garden Festival which had continuously been turning summer into something special for so many people since 2006. So, after making it into one of the most important music festival in Europe, the organizers handed over the reins to a group of young enthusiasts who prepared for us this summer a great party with DJs from all over the world. The offer of music festivals in Croatia keeps growing every year, attracting more and more visitors who keep returning to its stunning coast to enjoy cool parties and great atmosphere. Tisno on the beautiful Murter Island is a vital part of that story, offering a real treat for all fans of world class electronic music. So, if you want to dance your summer away surrounded by beautiful nature and stunning beaches be sure to make Murter your destination this summer.